Concert hall, built 2000 by Hannu Tikka and Kimmo Lintula. Named in honour of the Finnish composer, Jean Sibelius (1865-1957). 1250 seats. 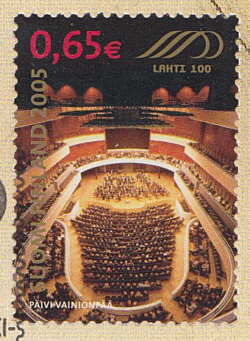 Home to Sinfonia Lahti (Lahti Symphony Orchestra). Reverse Text: "Järvenpää Suomi - Finland - Ainola", "Jean Sibeliuksen koti. The home of Jean Sibelius (1865-1957). 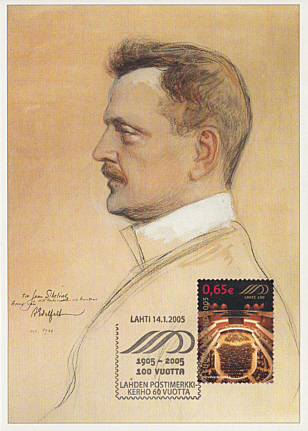 Jean Sibelius (Albert Edelfelt 1904)"